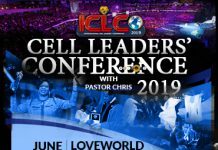 Home Believers' LoveWorld The IPPC Event: Pastor Chris and His Impactful Week of Inspirational Conferences. The IPPC Event: Pastor Chris and His Impactful Week of Inspirational Conferences. Pastor Chris proudly presents another International Pastors' and Partners' Conference. The annual congress of the most highly esteemed dignitaries will once again convene for "spiritual warfare for the souls of men." Individuals will be pouring in far and wide to have the hearts dipped in the warm liquid love that is God's words. From Sunday, November 12th to the 18th of November 2018, Pastor Chris, together with thousands of spiritual leaders and BLW partners from every continent will arrive to Lagos, Nigeria for an intense week of scripture, visionary sermons and heavenly gifts. This highly anticipated annual event, the IPPC with Pastor Chris, an annual congregation of the world’s most highly esteemed delegates convening to be inspired, educated and empowerd by the BLW President, the Man of God, Pastor Chris. These meticulously planned mega lessons, workshops and plenary sessions will equip IPPC minsters with knowledge for their ministering in the coming year. Pastor Joy Amenkhienan, chairperson of the IPPC 2018 tells us to “prepare our hearts.” In just 5 weeks, the event will help you “sew your seed”. If there is something you wanted to for the Lord, then this is the opportunity for you. The IPPC will also feature glamorous award ceremonies to celebrate outstanding achievements of pastors and partners in music and arts. The award ceremony that took place last year was a spectacle to be cherished and remembered “as a night of ecstatic sights and sounds with elating dance, music and artistic renditions by renowned Gospel ministers from the Loveworld Music and Arts Ministry.” The unforgettable event is dedicated to recognizing the many artistic talents that BLW minsters possess, as well as their commitment to the BLW President, Pastor Chris Oyakhilome. One of the most outstanding features last year’s event was the celebration of 30 years of the Ministry of Pastor Chris and the Believers’ Loveworld Inc. The number 30 possess a lot of significance according to the scriptures. Pastor Chris moved participants with his passion and conviction. Last year, the 2017 edition of the International Partners’ Conference, took at the Loveworld Convocation Arena in Lagos Nigeria. There, thousands of soul-winning brothers and sisters witnessed the gathering of a list of global spiritual leaders convening over an immensely impactful week. 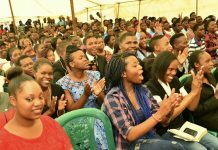 It was a joyous occasion than left participants rejoicing the gospel in utter praise. Check out last year’s highlights. Attendees were shown their past achievements and reminisced over all the precious memories. They were inspired by the passion and convictions of the president of the BLW, Chris Oyakhilome, celebrating their significant achievements that took place during ‘the Year of Flourishing’. Last year Pastor Chris will discussed the “Severity of Eternal Damnation” and called his followers to action “No one will ever come out of it,” Pastor Chris says concerning the severity of eternal damnation. Last year the event reached the pinnacle of spiritual insight, when delegates understood the severity of eternal damnation and what this truly means. The man of God said, “if you understand what this means, you’ll weep (cry) in your intercessory prayers like you were being thrown into hell until you are sure of their salvation.Hell is not a place to even consider that you might just be okay; nobody will be okay in hell,” The BLW President explained that this is the underlining reason for the conference. Understanding the severity of hell will ultimately equip you with the power of Gods’s word. “Enlightened delegates with scriptural truths on the divine presence of God.” Pastor Chris explained the roles of all humans to be an “ark of God”. “The Lord moves when you move, because He lives in you,” the BLW President said to the congregation of global delegates that is no reason for an enriched Christian to behave as if he is disadvantaged. Pastor Chris seeks to bring our attention to the place of Christ in our day to day lives and tells us to “come boldly to the throne of grace, obtain mercy and find grace to help in time of need,” as the scriptures say. The series that began during the International Pastors’ Conference, Pastor Chris helped the thousands see their spiritual solutions. This forceful boost of power solidified the minsters position and reinforced the importance of the ultimate spread of their message.